Apr 19, 2016 We are very pleased to be able to present a completely redesigned Nordic Labour Journal, presenting the content in a new way and in new colours. You can now easily enjoy the Nordic Labour Journal on any size screen, whether you prefer to read it on your mobile, tablet or computer. Oct 26, 2009 Editor-in chief is ms. Berit Kvam. The publication has a part-time editorial staff, its own expert on Labour Law as well as a network of freelance journalists in all the Nordic countries. 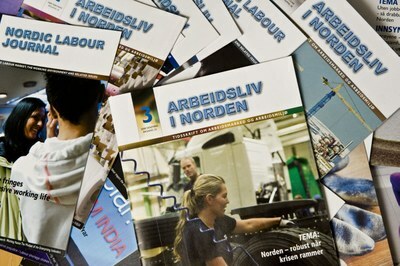 Oct 26, 2009 The Work Research Institute in Oslo published the printed magazines 'Arbeidsliv i Norden' and Nordic Labour Journal for the Nordic Council of Ministers in the period 2000 to 2008. Oct 26, 2009 In conjunction with the online publication of ‘Arbeidsliv i Norden’ and the Nordic Labour Journal, there is a free monthly newsletter in the Scandinavian languages and English. Jun 24, 2009 is an online publication with articles by journalists and writers from the Nordic countries. We aim to produce news and features about working life in a Nordic perspective. Editor-in-chief ms. Berit Kvam is member of The Association of Norwegian Editors.